Waterhill brings provincial elegance to today’s more traditional homes. 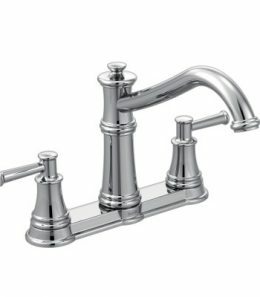 Vintage, farmhouse-fresh and full of character: The Waterhill collection of kitchen and bar/prep faucets brings provincial elegance to today’s more traditional homes. 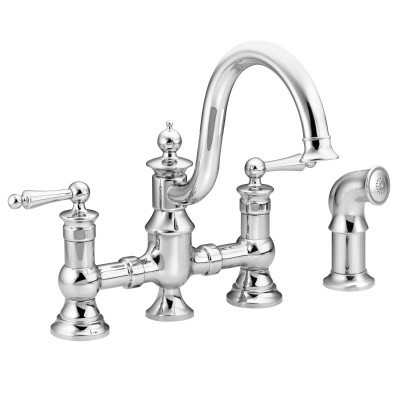 Period-era details, like a gooseneck spout, bridge design and top finial, give each faucet an authentic feel. 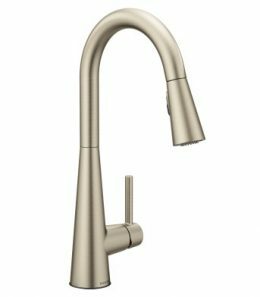 Features From intimate galley kitchens to large gourmet workstations, Align faucets bring a refreshed, modern look to your home. 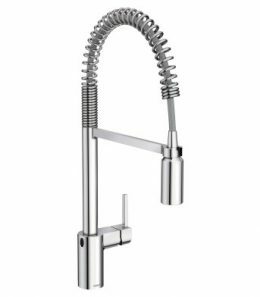 Simple lines create the contemporary style, while a pulldown wand delivers in-demand functionality. chrome finish is highly reflective for a mirror-like look that works with any decorating style features Duralock™ quick connect system for easy installation faucet pulldown hose offers flexible water delivery and hose retracts with ease one-handle lever handle makes it easy to adjust the water aerated stream for everyday cleaning; powerful rinse for heavy-duty cleaning standard design mounts on the sink or countertop complies with Americans with Disabilities Act (ADA) specifications meets current legislation, including ab1953 (california) and s152 (vermont) 5 year warranty on digital components; limited lifetime trim warranty Power Clean™ spray technology provides 50 percent more spray power versus most of our pulldown and pullout faucets without the Power Clean™ technology. 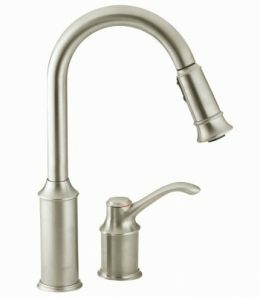 Features Architectural details throughout Aberdeen's kitchen faucets give elegant style to up-to-date functionality. The extra height of the high-arc spout provides ample clearance to wash large pots. equipped with the Reflex™ system for smooth operation, easy movement and secure docking of the pulldown/pullout spray head classic stainless finish coordinates beautifully with today's popular kitchen appliances and accessories features Duralock™ quick connect system for easy installation faucet pulldown hose offers flexible water delivery and hose retracts with ease one-handle lever handle makes it easy to adjust the water LifeShine® finish assures the ultimate in durability and is guaranteed not to tarnish, corrode or flake off aerated stream for everyday cleaning; pause function lets you conveniently stop water flow from the spray head; powerful rinse for heavy-duty cleaning standard design mounts on the sink or countertop complies with Americans with Disabilities Act (ADA) specifications meets current legislation, including ab1953 (california) and s152 (vermont) limited lifetime warranty Power Clean™ spray technology provides 50 percent more spray power versus most of our pulldown and pullout faucets without the Power Clean™ technology.